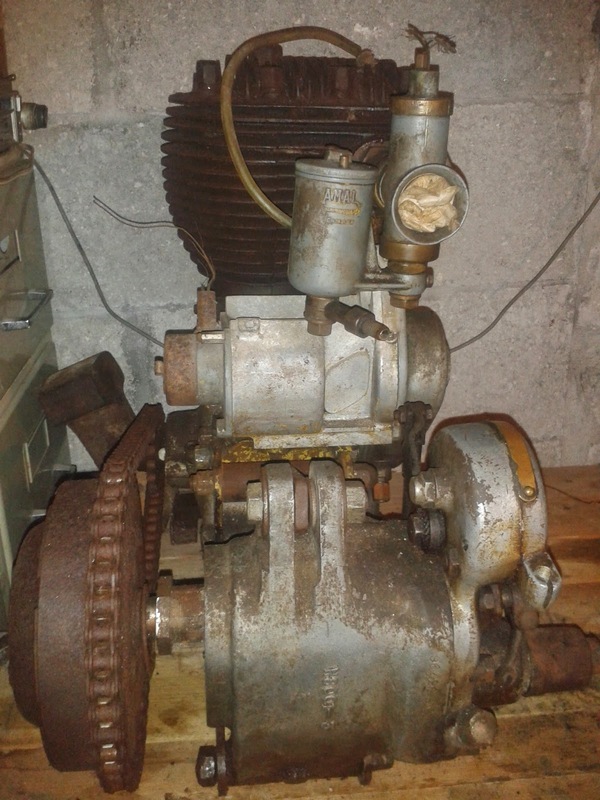 -JdK- Marcus in France SOLD is selling this Model 16H engine and gearbox; not sure what year the engine is exactly as the number does not make sense to me. 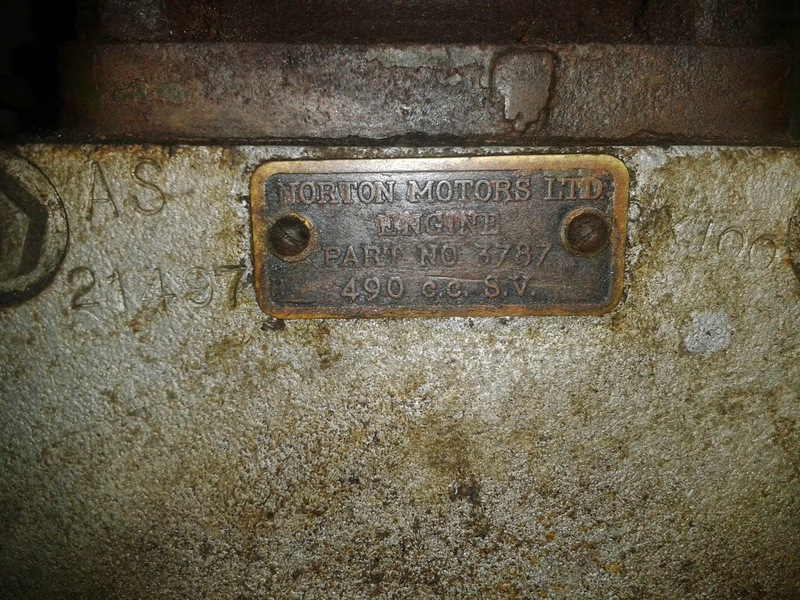 The engine plates were painted green and therefore 1940s WD16H seems likely. 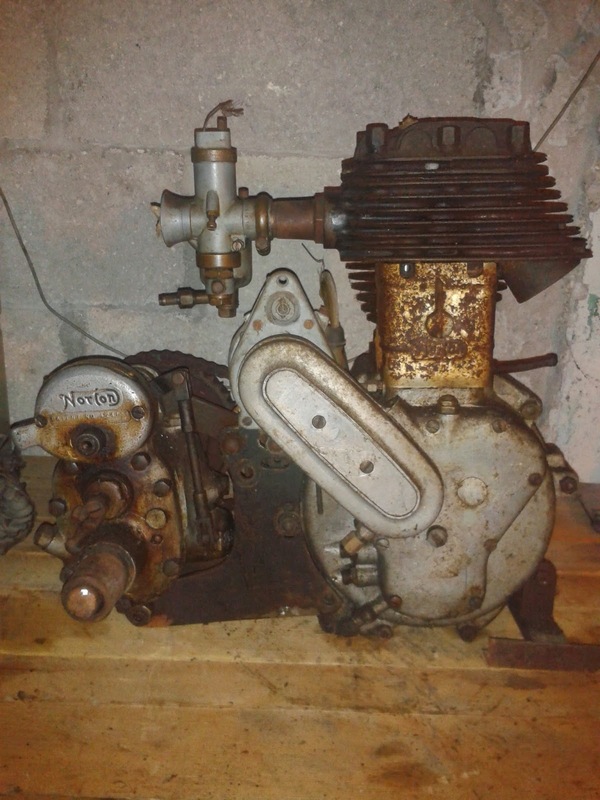 Marcus: "The previous owner took this engine from a forgotten Norton 16H in the early 1950's. 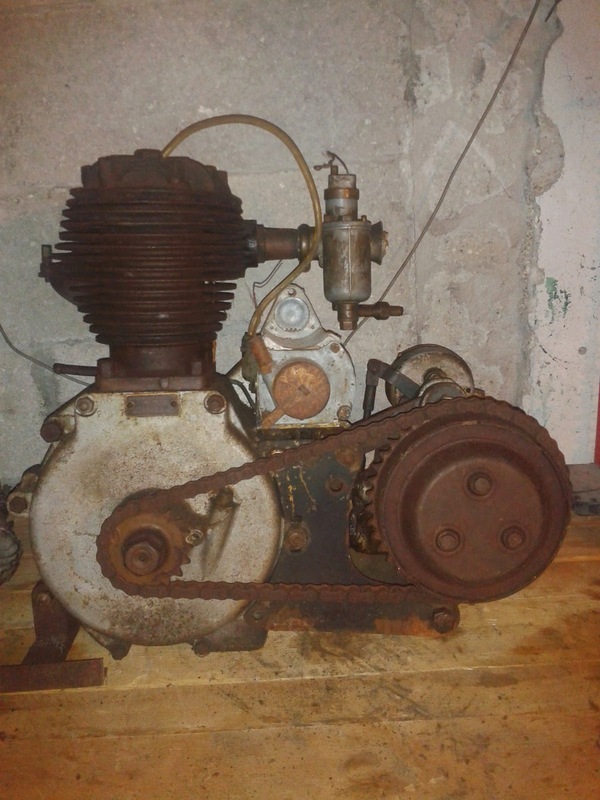 He wanted to use it as a stationary engine but never did. He kept it for decades in his basement and I bought it few years ago. This engine has never been opened since WWII and it is not seized. There are three small broken fins at the top of the cylinder head. The engine is in France." Contact us when you're interested.